My Article on the Booker Website! Well, I said I’d share the link when I have it! Here is the link to my article about Julian Barnes on the Man Booker Prize website! And don’t forget, you still have time to enter my literary themed giveaway! Last week was one of the most amazing and most surreal weeks of my life. It was down to acting as treasurer for the Hull University English Society. As it is National Novel Writing Month, we have been organising lots of events to get students inspired to write, but not just novels, they can write short stories or poetry if they wish…we just want to get students writing! As well as writing workshops, part of the programme that we have mapped out for the month are ‘inspirational events’ to inspire people to pick up the pen. These events are talks led by established authors, including local Hull author Russ Litten, who kicked off our launch night! 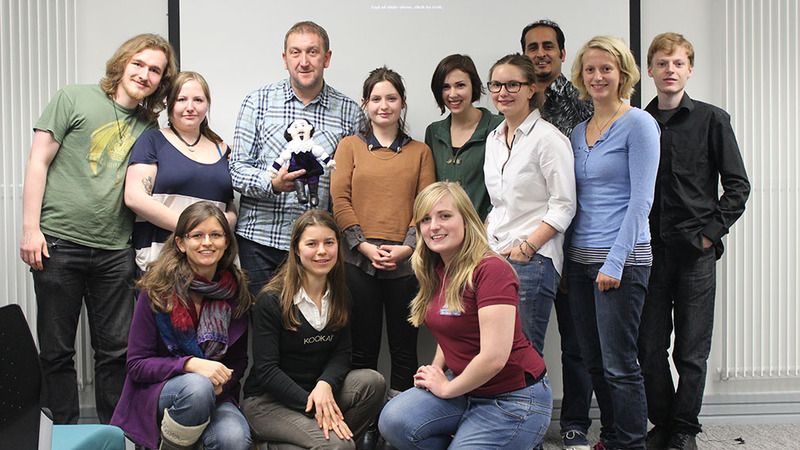 Our brave participants looking eager on launch night! Russ is thoroughly involved in our plans, and has offered to help judge to outcomes of the month of creativity, to pick a winner to be published in the student newspaper! He is going to announce the winner at an open mic night we are holding in December, where students can share the work that they have written throughout the month. One of the items on my 22 Before 22 list was to read 20 books of my choice. I’m actually doing better with this one than I thought I would! Because I have to read so many books for university, I wasn’t sure how much time I would have to fit in reading books of my choice but I have been making the most of the time that I have had and I have flown through 7 books already! I have been doing some other reading as well as these books, mainly for my voluntary work with Booktrust, but I am just reviewing the ones that I have chosen. Here are some mini reviews of what I have read so far. Last night I attended one of the events that is part of a series taking place known as the Humber Mouth Literary Festival. Even for a bookworm like me, this is the first year I found out that we have a literary festival! I only found out due to a pile of leaflets lurking in a cupboard at work! However, even with the lack of advertising, the venue was still crammed full of people! 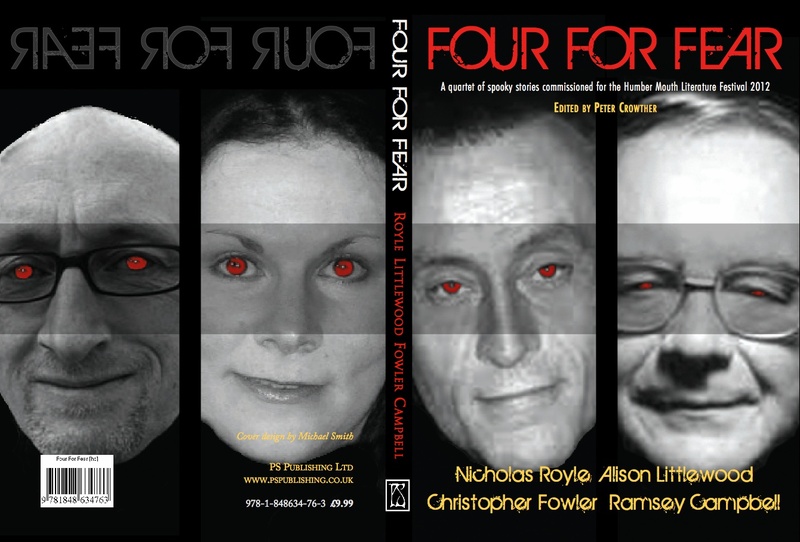 The horror night consisted of four authors, most notably, Alison Littlewood, whose book ‘Cold Season,’ has been chosen as one of Richard and Judy’s book club titles, reading stories that had been specially commissioned for the event. Each author wrote their own ‘horror’ story, then read it to the candlelit room, illuminated by an eerie red spotlight. While the setting was described as a ‘Victorian parlour’ the tales of horror were distinctly modern; a change for me, as an avid reader of Victorian ghost stories. These modern tales focused more on psychological horrors, rather than ghostly hauntings of grotesque manifestations, but the audience still listened in a rapt silence. While some of the stories had an obvious element of horror, others were less clear and left the audience feeling confused, yet certain that something horrific was lurking in the shadows of the story. I thoroughly enjoyed the night; the atmosphere was fantastic and many of the stories made me feel uneasy and nervous as I sat in suspense. I am eager to explore more of the literature events taking part this year so I will be keeping my eyes open for more to go to! I have never actually cried at a book (yet!) so instead I have picked the one that was closest to making me cry. 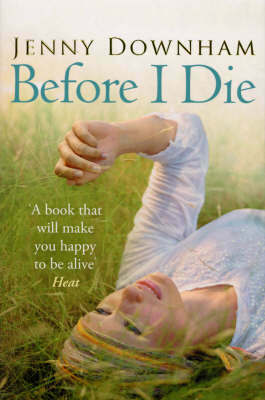 Jenny Downham’s ‘Before I Die’ tells the story of sixteen-year-old Tessa. Tessa is dying. With only a few months left to live, Tessa has created a list of the ten things she wants to do before she dies. However, on her journey to complete her list, she discovers that some of the things she wanted aren’t that important, and discovers what really is important along the way. This book is really touching and written very sensitively. 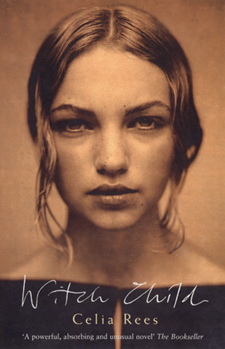 You cannot help but feel the tears threatening as you reach the end of the book. It is really interesting to see things put into perspective, and see what small things matter so much to a dying teenage girl. It’s definitely a heart-wrenching read but one that I would recommend to those who are brave enough to read it! From everyone that I have spoken too, this book is like Marmite; you either love it or you hate it. Unfortunately I seem to side with the ‘hate it’ side of the argument. 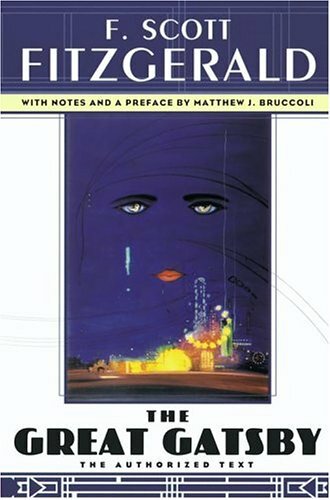 ‘The Great Gatsby’ tells the story of Nick Carraway and his extravagant world on Long Island in the 1920s. However, the glittering lifestyle is not all that it seems. Admittedly, I never finished the book. It is practically unheard of for me to take such a dislike to a book that I cannot face finishing it, especially a book of only 100 pages!!! However, I have vowed to finish it, so in three books time I might have changed my mind on this one, but for now, it is definitely my least favourite book. I would love to hear other opinions on this one, particularly those of you who love it – I would like to know why. 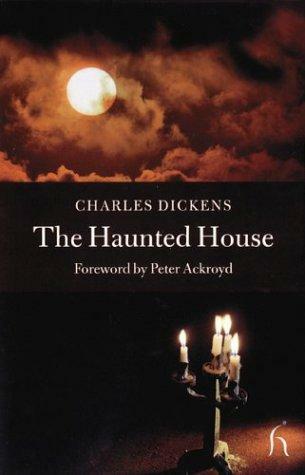 This morning I just finished reading ‘The Haunted House’ by Charles Dickens. Being both an avid reader of ghost stories and Dickens, I was surprised that I had never heard of this title before. It was originally written in 1859 for Dickens’ weekly periodical All the Year Round. What makes this story unique is the fact that the haunting of each room within the haunted house is told by a different author. Dickens recruited some of his best friends (who also happen to be some of the best writers of the period) such as Wilkie Collins and Elizabeth Gaskell to write ‘hauntings’ of the rooms in the house. This complete story by different authors gives a fantastic insight into some of the key writers of the Victorian period, as well as building one story from several voices which are literally very different. It is interesting to see how the different authors (and poets) construct very different ghost stories, which act together as a whole story. While the concept is very interesting, I found some of the stories difficult to follow as the authors all had a different approach to writing a ‘ghost’ story. I was also slightly disappointed that the ‘ghosts’ were less spectral than I had hoped. However, the story is nevertheless very unique and presents a wonderful collection of Victorian authors. At only one hundred pages long it can easily be read in a couple of days and, even though the ending could be seen as disappointing, it still makes for an entertaining and unusual read. The other day I happened to come across a copy of ‘Witch Child’ by Celia Rees; a book that I always wanted to read in my early teens but I never got round to it. It was quite a welcome change to read a slightly easier going teen book after the stack of Victorian novels I have read for Uni this year! I had finished the book in a few days and I was reminded of the joy of reading a book that doesn’t require analysing and pulling apart as I read it! The story is set in 1659, a time of political unrest and of course, the savage witch-hunts. It is told in the form of a journal by a young girl called Mary, who, after her Grandmother’s hanging, discovers that she is a witch. In an attempt to hide her identity and reach safety from persecution she flees to the New World of America. However, overseas life isn’t as any of the travellers expected it, and Mary’s identity cannot be lost so easily.